This meeting explores the linkage between irrigation and drainage, and hunger and poverty alleviation, in which the poor benefit through higher yields, lower risk of crop failure, adoption of diversified cropping patterns, increased high‐value and market‐oriented crop production, and fixed employment. Experts will share lessons from various countries in Sub-Saharan Africa and South Asia. Peter is a researcher and consultant on water and environment policies/programmes and Research Associate to ODI. His recent work has included: research on water management in semi-arid lands in West Africa; studies of private sector involvement in water management and ‘stewardship’ in the UK/Europe and beyond; review of the national environment system in Colombia; and analysis and debate relating to the strengths and weaknesses of the regulatory framework for water supply and water resources management in England & Wales. Tim is a Lecturer in Water-Food Security in the School of Mechanical, Aerospace and Civil Engineering at the University of Manchester. His research integrates crop and hydrologic models, earth observation techniques, and economic analysis to evaluate decision-making about land, water and energy use in agriculture. A core focus of his research is on evaluating policies to support resilient and sustainable agricultural water management, in particular in areas of intensive groundwater-fed irrigation. He holds doctoral and master’s degrees in Hydrology from Imperial College London, and a bachelor’s degree in geography from University College London. Jamie is the leader of the water team at the International Institute for Environment and Development. He led the Global Water Initiative in West Africa that engaged communities and decision makers to improve outcomes from large dams and their irrigation schemes as well as writing on water and land governance issues. He was the Environment adviser at the Secretariat of the World Commission on Dams and is a member of the Hydropower Sustainability Assessment Protocol social chamber, focussing on mechanisms for the equitable sharing of benefits from large dams. Peter graduated from Imperial College in 1966, and initially worked as a VSO for the Department of Water Affairs in Zambia. He joined Sir M MacDonald & Partners in 1973, becoming a Partner in 1987 and a Director of Mott MacDonald in 1989. He retired after 33 years with the firm in 2008. He is now kept busy helping run his local U3A, and as historian and head gardener for his son’s 39 acre property in Norfolk. With Mott MacDonald (MM) he worked on many water resource projects in Africa and West Asia, and travelled extensively as MM’s International Director, finishing his career running the Group’s Indian operations. Whilst working for MM, he was Chairman of the British National Committee of ICID 1992-95, and an active member of the ICE’s Water Board (1989-1999), a member of the Steering Group DFID’s Engineering KAR programme (2001-03) and Chairman of the Consultative Group of IPTRID at FAO (2001-08). Active in ICID’s international activities since 1987, he was elected Vice-President 1997-2000, and President 2005-2008. 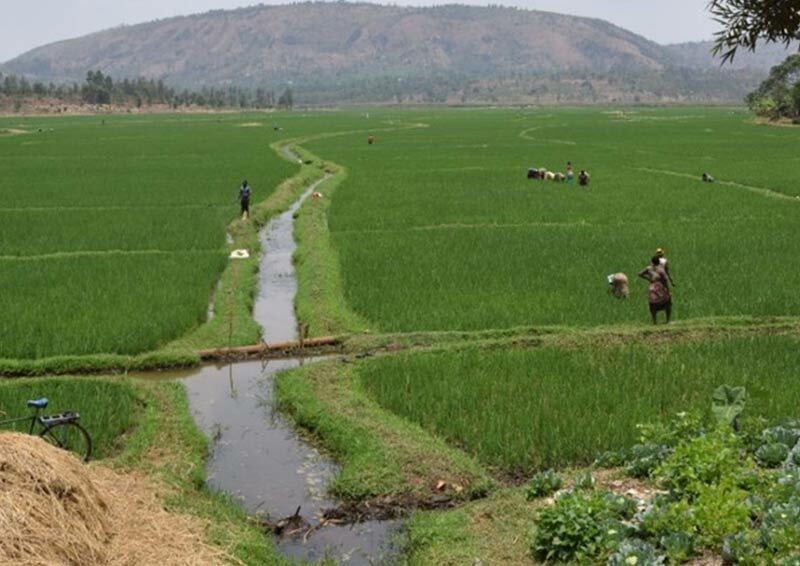 While President he encouraged inter alia the formation of a task force on the Role of Irrigation and Drainage in Poverty Alleviation and Livelihoods, and became its Chairman in 2009, until the completion of its tenure in 2014. He will talk today primarily about the findings of that work body, with reference to the recent paper in Irrigation and Drainage by Olcay Unver, Robina Wahaj et al on ‘Key and Smart Actions to Alleviate Hunger and Poverty through Irrigation and Drainage’.